Background: Seasoned management team formed new film and television digital media services company and approached EFA to arrange financing for potential acquisition targets. EFA Process: The company retained EFA to arrange acquisition financing and EFA approached several banks and specialty lenders. Background: Initially approached by Gormally Broadcasting to arrange financing to recapitalize the company and fund planned acquisition growth. EFA became company’s sell-side advisor when industry changes and market forces made exploring a sale a more advantageous and financially rewarding strategic option for the company. EFA Process: EFA was successful in securing financing commitments to fund a recapitalization and several acquisitions during the initial engagement focus. However, marketplace dynamics noted above resulted in EFA recommending a company sale. EFA provided a tailored, results-oriented approach from start to finish. Result: EFA identified Meredith Corporation (NYSE: MDP) as the leading buyer and managed all aspects of the sale, maximizing the sales price received for the company. It was a pleasure working with Dave Harrington and the team at EFA. Through Dave’s deep industry knowledge, relationships and marketplace expertise, we were able to maximize the ultimate value of our company’s broadcast assets. Background: Longtime client that initially approached EFA seeking junior capital to grow its business. EFA Process: After reviewing the company's capital structure and growth plans EFA recommended a financing structure that would recapitalize the company and provide significant growth capital. Result: Closed two financings that recapitalized the company and provided growth for new theatres. Studio Movie Grill remains an EFA client for M&A opportunities. We were delighted to work with the EFA Partners team on our second successful financing with them. Their wide range of capital markets experience, banking relationships and deep knowledge of the cinema and location-based entertainment industries made them the perfect choice to assist with our financing efforts, which support SMG's active growth strategy. Background: Company approached EFA seeking refinancing of its debt subsequent to other advisors attempting to do so with a combination of senior debt and equity. EFA Process: After reviewing its capital structure EFA recommended a debt structure to fully refinance the company's debt. Result: Closed senior debt facility that refinanced the company's existing debt, which was much more cost-effective than equity. The EFA team proposed a creative strategy to recapitalize Modern VideoFilm that met our needs in a way that was unique and different from what other financial advisory firms proposed to us. We appreciated their understanding of the entertainment industry and EFA's extensive financial relationships and we look forward to continuing our relationship. Background: Landmark approached EFA for an equipment financing to convert its screens from 35mm to digital projection. EFA Process: While the company had many financing options given its strong ownership, its management was busy with business operations and retained EFA to handle the digital conversion financing process. Result: Closed equipment financing facility utilized for all of its digital projectors. EFA led all aspects of the financing including negotiation of complex digital cinema conversion agreements. EFA's unique knowledge and experience with film exhibition and digital cinema was extremely helpful in leading our financing process. Landmark prides itself in providing the best customer experience to its patrons and we are excited that this financing will allow us to continue that with our digital conversion. Background: Company approached EFA seeking capital to refinance debt at its inaugural location in Jacksonville, FL. EFA Process: After reviewing its capital structure and growth plans, EFA recommended a two-stage approach to provide development capital and equipment financing for new locations. Result: Initially, closed a financing to refinance debt at its existing site and provided capital to develop two new sites. Subsequently closed an equipment financing for the new sites. Latitude 360 remains an EFA client for refinancing and M&A opportunities. We're excited to continue our relationship with the EFA team. They understand the location-based entertainment industry and have deep relationships with financiers as well as strategic industry participants, all of which will help us execute on our growth plans. 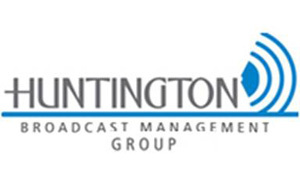 Background: Huntington approached EFA seeking capital for potential television station acquisitions. EFA Process: EFA understood that private equity firms and lenders are seeking experienced management teams to back for acquisition opportunities in the television sector. Result: EFA has introduced the company to several private equity firms as well as senior lenders, resulting in bids for groups of television stations and the company continues to seek other opportunities, with EFA’s assistance. We are acutely aware of the trends that are transforming the local broadcast TV business and have recently begun to explore opportunities to acquire stations. We are very excited about the prospects for the industry and the opportunities to capitalize upon. We are also pleased to have EFA Partners as our financial advisor as their many years of media industry experience and extensive financial relationships will help us accomplish our goal of building a best-in-class station group. © 2019 EFA Partners. All Rights Reserved.